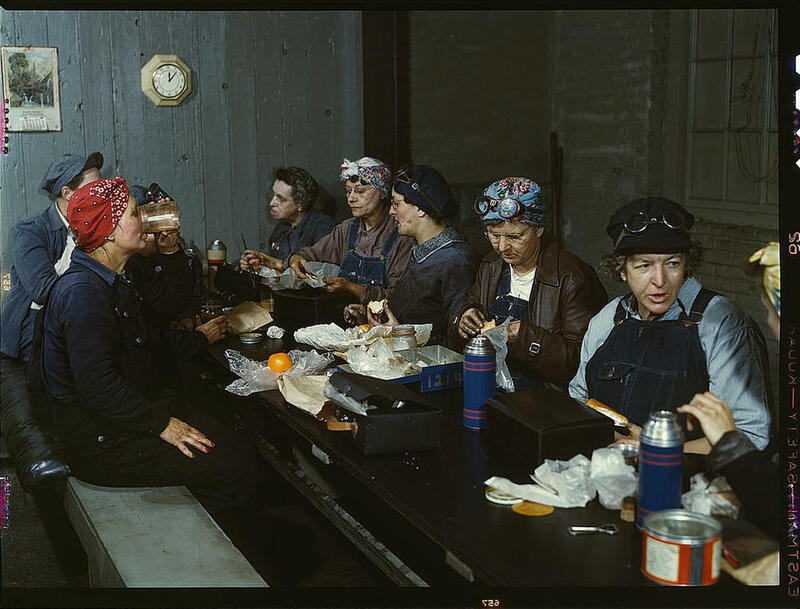 Back in 2006, the Library of Congress organized an exhibition titled Bound for Glory: America in Color that showcased little-known color images taken by photographers of the Farm Security Administration/Office of War Information (FSA/OWI). Made from color transparencies taken between 1939 and 1943, these images change the way we see the past. I mean, there’s just so much more color. As silly as that seems to say, it makes these photos intimate and relate-able in a way that I haven’t felt before. The black and white images of this era neutralize the bright colors and patterns in the clothing, signs, and wallpaper. It makes it seem like this time wasn’t so long ago. The photographs depict the effects of the Depression on America’s rural and small town populations, the beginning of the nation’s subsequent economic recovery and industrial growth, and the country’s great mobilization for World War II. there is a book of these images too. An interesting compendium put together by Art Fag City of what people are saying about what’s happening in the arts as a result of the recession. A followup article to the Town Hall Meeting by Angela Woodall appears today in the Oakland Tribune. Over the last decades, the art world has become more and more professionalized. For an online-only survey, frieze asked 16 curators, writers and artists how they thought the languages, codes, education and business methods resulting from this process are affecting creative freedom. Is the art world too professionalized – or not enough? When it comes to funding for state arts agencies, California remains not-so-proudly ensconced in its customary slot — dead last — according to a report from the National Assembly of State Arts Agencies.